Last month we reviewed various ways that dental implants can be placed, from free-hand to fully guided surgery. This month we’ll review various ways that teeth can be affixed to dental implants. 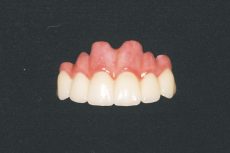 Implant prosthetics can range from single teeth to an entire arch. The prosthetic can also be limited to replacing a missing tooth. It can also replace missing gum and bone tissue in areas where significant bone loss has occurred. The replacement of a single missing tooth is, generally speaking, a straightforward process. Once the implant has been placed and the surrounding bone has fused to it, it is ready to be restored. Assuming the surrounding bone and gum tissue has a normal shape, then the crown will be made of similar dimension to the adjacent teeth. The crown can be tooth colored or gold, depending on the patient’s preference. Now, this may sound simple and, compared to other types of prosthetics, it is. However, there are some important details that influence the long-term success or failure of the implant and prosthesis. The shape of the crown is very important. It must emerge from beneath the gum tissue in a smooth contour with no overhanging areas or concave areas that will make cleaning difficult and result in increased plaque and tartar accumulation. 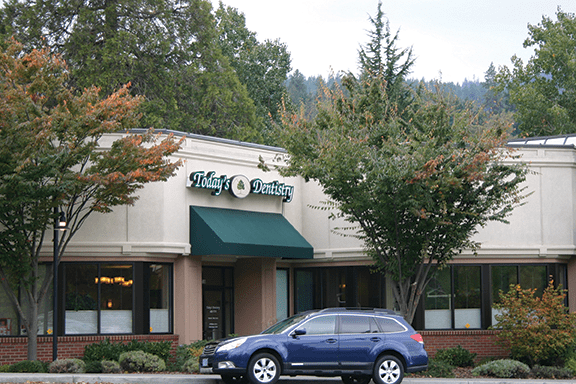 Bite forces are also significant and the prosthesis must be designed in a way that minimizes traumatic bite forces being transferred to the implant and ultimately into the bone. Where possible, the prosthetic contours should not be greater than the supporting implant and the biting contact should be directed along the long axis of the implant. If the bite forces on the crown are too great, bone loss around the neck of the implant will occur. With any type of implant prosthesis it is also important to consider the quality or the density of the supporting bone. For the purposes of implant dentistry, bone has been classified into four groups: D1, D2, D3, D4. The relative densities of each of these groups can be compared to wood – oak, pine, balsa, and Styrofoam (not wood, but you get the idea). 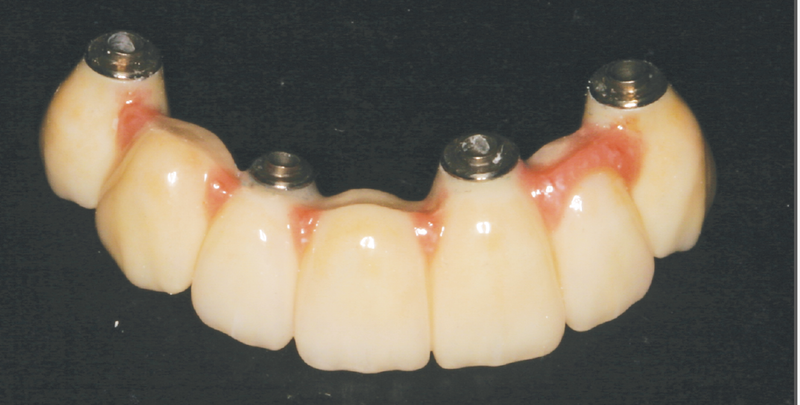 When an implant is placed into softer bone, strategies must be employed to manage the chewing and clenching/grinding forces that will be placed on the prosthetic so that peri-implant bone loss may be avoided. Implants can also be used to support a segment of missing teeth or to replace an entire arch of missing teeth. 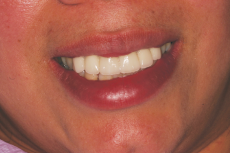 In these cases there is often associated bone loss and gum recession. In order to make the teeth appear to have a normal contour, pink porcelain is used in combination with tooth colored porcelain to create the illusion of normal gum tissue contours. These types of prosthetics are typically either cemented or screwed into place and remain rigidly fixed in the patient’s mouth. And then there are removable prosthetics, which can also replace a segment of missing teeth or an entire arch of teeth. Removable prosthetics are held in place and stabilized by the implants that they clip onto. 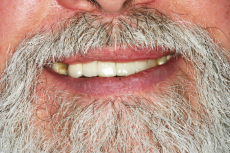 The chewing support, however, comes from the denture resting on the gums on the dental arch. These types of prostheses feel less like natural teeth because of their increased bulk and decreased stability as compared to fully fixed options. 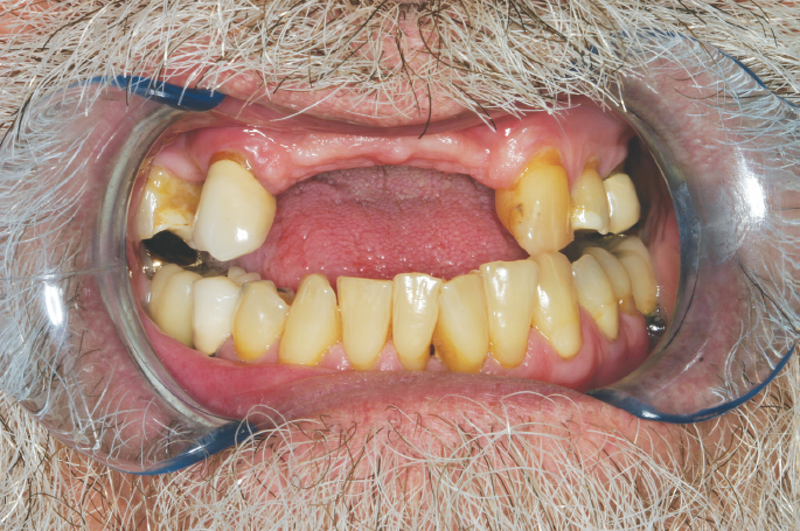 Here are three cases that involve front teeth. Each is a little bit different. In the first, the patient had been missing the teeth for a long time and bone had atrophied away. The lip line during smiling rose upward, revealing the front teeth. Rather than making long teeth, normal sized teeth were made and then pink porcelain was used to fill in the remainder of the missing tissue. The second case has some bony atrophy, though not as significant as the first. Also, the patient has a low lip line during smiling and so no pink porcelain was needed to make the teeth appear a normal size. In the third case, seven teeth are being replaced and small amounts of pink porcelain were placed in strategic locations to provide for tooth symmetry from right side to left. If you have questions about how dental implants may help you, please contact your dentist and s/he can help you.